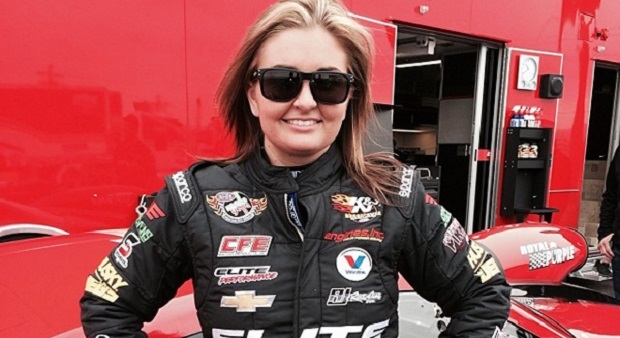 Erica Enders-Stevens gained attention from her 2014 Pro Stock world championship season, and the attention has not stopped yet. Enders-Stevens has been nominated for the ESPY Best Driver Award for the first time in her 11-year NHRA Mello Yello Drag Racing Series career. Alongside Enders-Stevens for nominations are drivers Kevin Harvick, Juan Pablo Montoya, Will Power, and Lewis Halmilton. The 2014 season was a notable one for Enders-Stevens, as she won the historic championship crown after defeating Jason Line, her nearest competitor in the points. After gaining the title of the first female driver to win an NHRA Pro Stock world championship title, she gained six victories and one runner-up finish. She was also the first female driver to win the K&N Horsepower Challenge. Enders-Stevens started out racing in a Jr. Dragster class in 1992 and won the second event of her career in an all-female final. After her Jr. Dragster career ended, she continued to follow her passion. In late 2004, she became a professional race car driver for Cagnazzi Racing and by mid-2006, she had campaigned her way to set new records for a female Pro Stock Driver. 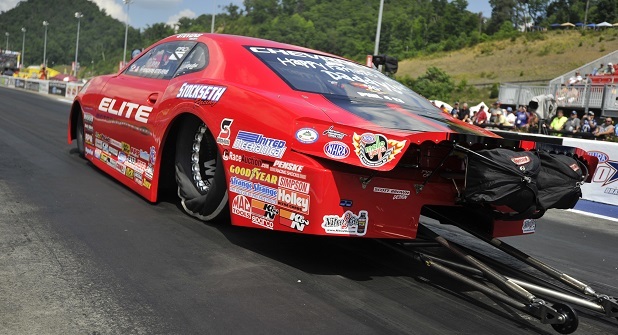 In 2011, she continued making history by finishing the season number 6, the highest finish for a female in the Pro Stock division. On July 1, 2012, Enders-Stevens became the first female Pro Stock event winner in NHRA history. Fans can vote for Enders-Stevens by logging in to http://www.espn.com/espys. The ESPYs awards ceremony will be held in Los Angeles and will air on ESPN on July 15. Voting ends at 8 p.m. ET July 15.